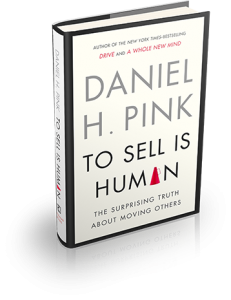 Dan Pink shares the big ideas in his books A Whole New Mind, Drive, and To Sell is Human on the surprising truth about how to move and motivate others. 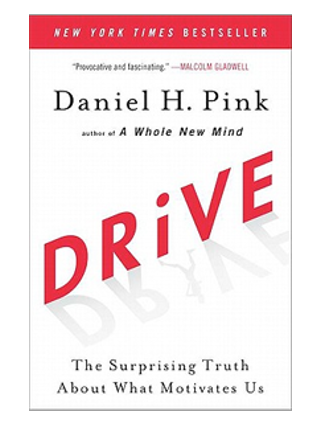 Dan Pink has written three books that have changed the way I think about motivation and influence. First, in A Whole New Mind, Dan shifts our thinking about the type of skills that will be critical to have in the new outsourced and automated economy. In Drive, he flips our thinking about motivation on its head. And in To Sell is Human, he challenges conventional wisdom with a fresh look at the art and science of moving others. I caught up with Dan Pink to discuss some of the big ideas in his books and how they help Project Managers be more effective in motivating and influencing others. 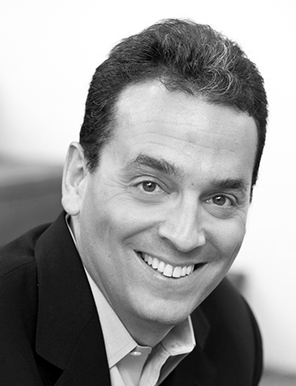 Dan Pink is the author of five provocative books– including the long-running New York Times bestsellers, A Whole New Mind and Drive. His latest book, To Sell is Human, is a #1 New York Times business bestseller, a #1 Wall Street Journal business bestseller, and a #1 Washington Post nonfiction bestseller. Dan’s books have been translated into 34 languages. He lives in Washington, DC, with his wife and their three children. 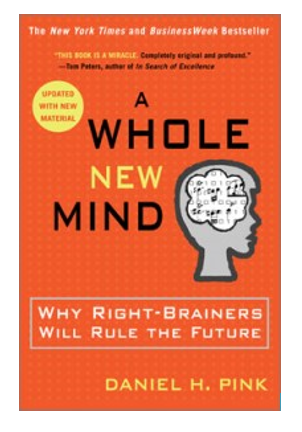 In A Whole New Mind, you studied the trends that are driving the need for a new set of skills that organizations look for in leaders in new economy and you built a strong case for why right-brainers rule the future. I find that the ideas in A Whole New Mind serve as the foundation for the insights about motivating and moving others that you shared later in Drive and To Sell is Human. Can you talk about some of key insights from A Whole New Mind that influenced your thinking about the valuable skills of the future? In Drive, you describe the gap between what science knows and what organizations do when it comes to motivating others. And you say that our current business operating system–which is built around external, carrot-and-stick motivators–doesn’t work and often does harm. Talk about how our understanding of motivation has evolved over the year? The new approach to Motivation has three essential elements: Autonomy, Mastery, and Purpose. Talk about these 3 elements and how leaders can use them to be effective motivators. In to Sell Is Human, you say that we are all in sales now. You say that people are now spending about 40 percent of their time at work engaged in non-sales selling—persuading, influencing, and convincing others in ways that don’t involve anyone making a purchase. Can you explain what you meant by non-sales selling and how does that apply to leaders such as project managers, software engineers, technology leaders and other change leaders who are primarily selling ideas and change? You say that in the past sellers had a significant advantage of information asymmetry, where they were able to exploit their knowledge of the product, service or industry. Today, Information asymmetry in sales is no longer the case. Can you elaborate on the concept Information asymmetry? Based on the research you have done and captured in the book, you make the case for the new ABCs of what makes someone effective in selling ideas. Can you provide us an overview of the new ABCs of selling and how they apply to selling ideas? You say best sellers adopt an attitude of service. Can you elaborate on this quality? Finally, can you share with us a research finding that has surprised you the most as you researched Drive or To Sell Is Human? I interviewed Eliane Glaser, author of the book “Get Real” on the topic of motivation. She suggests that theories of “intrinsic” motivation that say we are NOT really motivated by money and external rewards might actually be a lie, invented to get us to work more for less. Thank you for your comment. I do appreciate a counter argument to what Dan Pink offers on the topic of motivation. Saying that the theories of “Intrinsic” motivation is a lie is a provocative statement. But does Eliane provide any evidence-based support for her argument? Thank you again.